2. 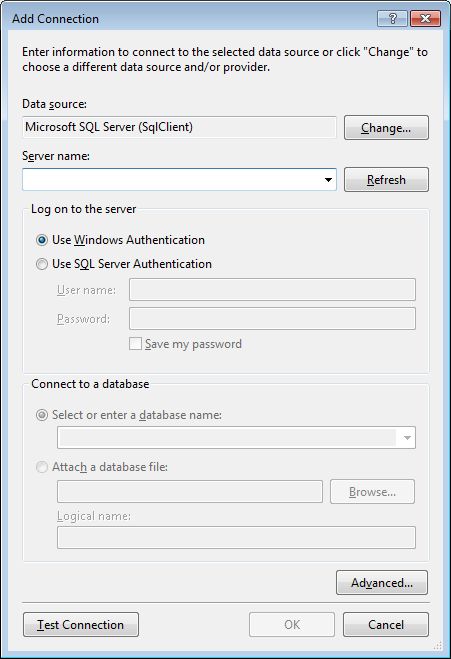 Select connect to database, A pop up window will emerge. 4. 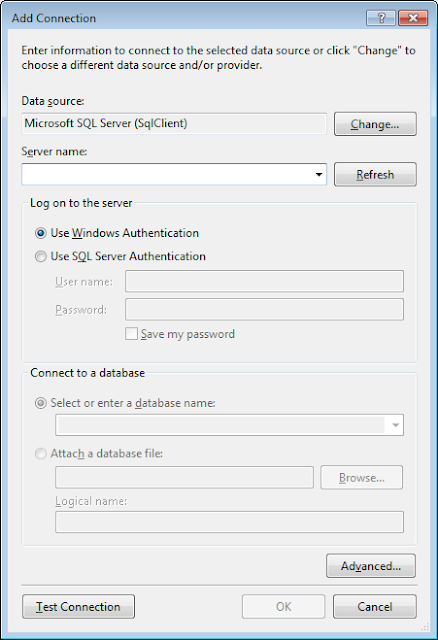 Select Windows authentication or SQL server authentication on log on to the server section. 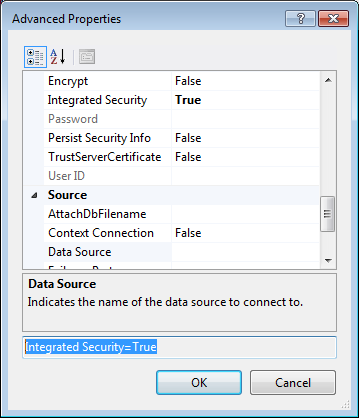 If you choose SQL Server Authentication you need to fill Username and Password. 7. Then click the Advanced button and right there is the connection string. type the password in the connection string. See video tutorial from CodesWizard from Creating connection string in Visual Studio.